When looking to improve productivity of packaging lines, many companies use the Overall Equipment Effectiveness (OEE) concept, which provides actionable data as to where improvements can be made. One of the three key OEE factors is Availability, the ratio of actual operating time to planned production time. Availability is reduced by downtime, which can be caused by machine breakdown or by setup and changeover time. 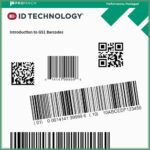 Here, I’m going to focus on how the engineers designing ID Technology’s LSI products have helped improve Availability by speeding up the changeover and setup process for our pressure sensitive labeling systems. Our Fast Changeover Package is designed for applications where changeovers are frequent and downtime expensive. Every adjustment point on the machine is clearly marked in bright orange and is fitted with either a scale or a gauge so the settings can be accurately noted. If change parts such as feedscrews are needed, these are all clearly identified. On machines with a system PLC and graphic HMI, the set up is recipe driven; the operator selects the product to be labeled on the display and all of the electronic parameters are set up automatically. In addition, the correct positions of all the mechanical settings are listed in the display screens, in the correct order for set up. The operator, simple makes each of these adjustments, in the order they are listed, and the set up is complete. Making product changeovers faster, improves productivity and helps maximize the equipment’s OEE. For more information on our Fast Changeover Package, download the datasheet. How can we help you with your labeling operations? Call ID Technology toll free at: 888-438-3242 Option#3 or you can contact me directly at dholliday@idtechnology.com We’ll get you in touch with one of our ID Technology specialists, right in your area.